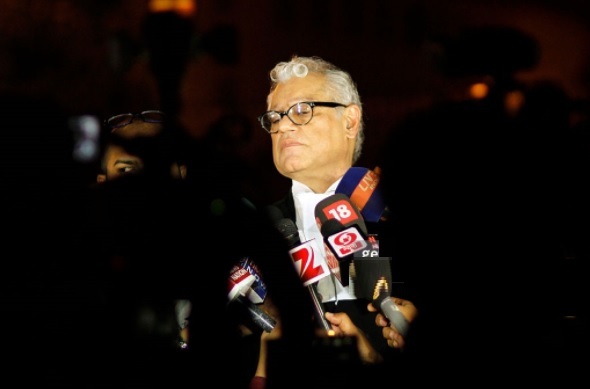 2G Spectrum Scam Case – The CBI and the apex court-appointed special public prosecutor Anand Grover today came in for sharp criticism from the special court which said the quality of prosecution in 2G cases had “totally deteriorated” and by the end, it became “directionless”. Special Judge O P Saini observed that the CBI had started its case with “great enthusiasm and ardor” but at the final stage of the trial, SPP Grover and the regular CBI prosecutor moved in “two different directions without any coordination”. It would be pertinent to mention that at the start of the case, the apex court had appointed senior advocate U U Lalit, now a Supreme Court judge, as the SPP in the 2G Spectrum Scam case. Later, when Lalit was appointed as an apex court judge, the top court had appointed Grover as SPP to present the 2G Spectrum Scam case of both the CBI and ED before the special court. “In the beginning, the prosecution started with the case with great enthusiasm and ardor. However, as the case progressed, it became highly cautious and guarded in its attitude making it difficult to find out as to what prosecution wanted to prove,” the court said in its 1,552-page verdict in the CBI’s case involving former telecom minister A Raja and others. “However, by the end, the quality of prosecution totally deteriorated and it became directionless and diffident. Not much is required to be written as the things are apparent from the perusal of the evidence itself,” the court said. It also took strong note of behavior of CBI and its SPP saying several applications and replies were filed on their behalf but in the final phase of the trial, no senior officer or prosecutor was willing to sign these documents. “When questioned, the reply of the regular senior PP would be that the Spl. PP would sign it and when the Spl. PP was questioned, he would say that CBI people would sign it,” the judge noted. “This shows that neither any investigator nor any prosecutor was willing to take any responsibility for what was being filed or said in the court,” the court said. “On conclusion of final arguments for the prosecution, he (SPP) did not file written arguments but instead submitted that he would file it only when the defense would file its written arguments. That was highly unfair,” it said. “The final arguments for the defence started and they kept filing their written submissions contemporaneously with their oral submissions. When the rebuttal arguments started only when the prosecution started filing its written arguments on day to day basis, apart from making oral submissions,” it noted. The court ruled the fact that the insistence on the filing of CBI’s written submissions after accused do the same led to a situation where defence counsel was given extra time to rebut the allegations. “Not only this, the most painful part is that Spl PP was not ready to sign the written submissions filed by him,” the court said, asking, “What is the use of a document in a court of law, which is not signed by anyone? When questioned as to why the Spl. PP was filing unsigned written submissions, his reply would be that some defence advocates had also not signed the written submissions”. The court said that despite its persuasion, Grover refused to sign the CBI’s written submissions. “Many more things can be said but that would only add to the length of the order,” the court said.